I like to make templates or just post small games. I'm not frequently able to finish big projects or games, but I do post most of the little games I make. I'm Mormon and I participate in boy scouts. 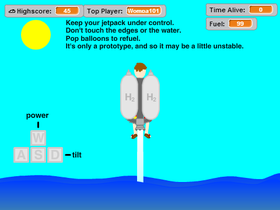 -A unity version of my Water Jetpack game has just been released on the Google Play Store! It can be found by searching "Jerry-Rigged Jetpacks"
The All-Mighty Minecraft Collection of Good, Red, and Evil!